So how to deal with the over-modulation in mics? If you have your Technician’s license, you know that this is one of the questions on the Amateur Radio Technician’s test. The answer is to move the mic further away from your mouth. 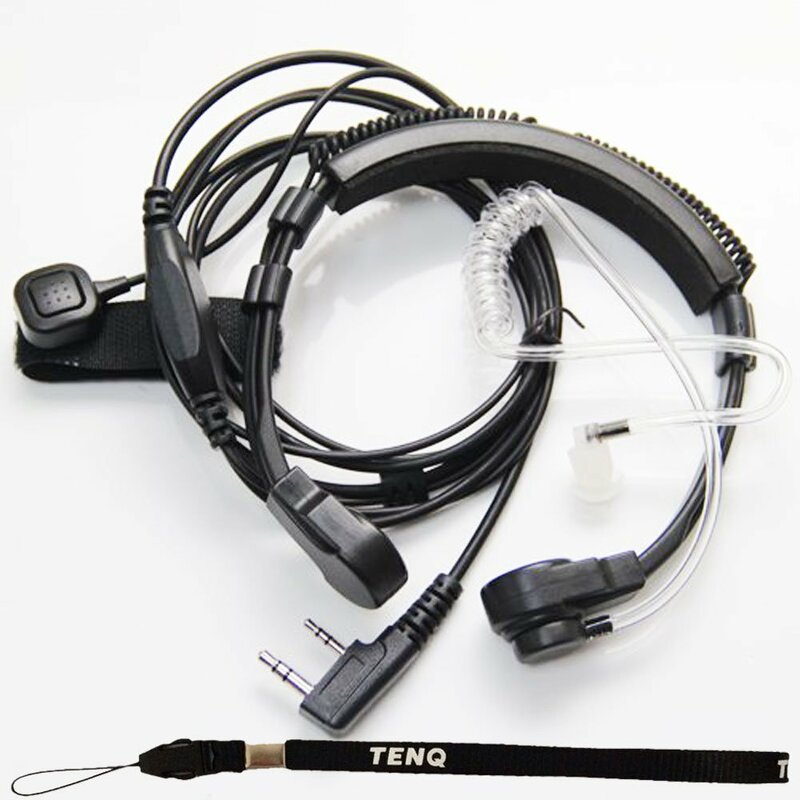 But throat mics use a piezo element which translates vibration into an electrical signal. So, to work, they have to be touching the source of the vibration. The solution is to dampen the vibration. One way to handle this is to rotate the throat mic about your neck so its not directly setting over your voice box. But, in my case, it wasn’t enough. To much low end in my voice, I suspect. In the end, the solution I employed was to put some theraband between the cup wall and the piezo element in the cup. Theraband is basically rubber banding. Removed from sunlight, it doesn’t break down like a regular rubber band will do – an excellent quality for our intended use. Jorge Sprave uses it for his ridiculous launchers. I had some left over from a previous infatuation. If you don’t have theraband, you can use foam sheeting. I actually wanted to use the foam sheeting, much like this amazon product, but all I had was theraband. The idea was to reduce the amount of vibrations that the mic can “feel” by adsorbing some of the vibrations produced by speaking. In the photo of the throat mic, the piezo element is located in that left hand cup. You can take it apart by removing the two Philips head screws on the inside of the band and gently pulling the cups apart. Then cut a piece or theraband or foam sheeting into a circle (a nickle is about the right size) and place it in the cup in between the piezo element and the inner wall that will be contacting your throat. Put the cups back together and then screw the screws back in. Be careful – the cheap plastic strips easily. I ended up needing to use some black electrician’s tape to hold mine together because I managed to strip out the screw holes and then lose one of the screws. I actually only needed a single piece of theraband to bring the mic into a usable range. I used it to check into the local repeater net earlier, and heard no complaint. I’ll have to check with the fellow that pointed it out, but if I’m still over-modulating I’ll just place another coin sized piece of theraband between the cup and the piezo element. This is probably my favorite mic system to use. The acoustic tube makes for discreet listening and the mic needs to be directly on the sound source so it won’t pick up background noises.